The GoLive-Period of Lat-Domains start at the 1st August 2015. Here you can pre-register your name among the most important New Top Level Domains like the Lat-domain. Pre-registration is free, but binding. If we secure the name you would like for you, you must pay the domain fee. The Lat-Domain costs 60 US-Dollar at the Golive-Period. "Soy Latinos, soy .lat.". 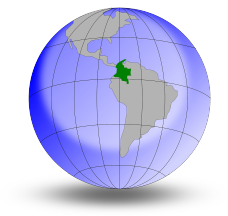 The Lat-Domain is the domain for the whole Latinamerica.